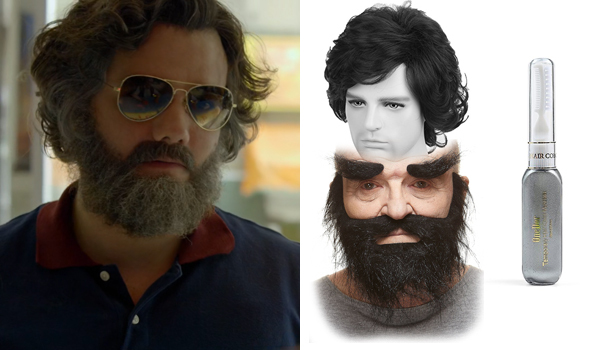 Wagner Moura portrays Pablo Emilio Escobar Gaviria in the first and second season of Narcos. The Netflix TV show is based on the true story of the "King of Cocaine" where Wagner Moura incarnates the wealthiest criminal in history. In the show, Pablo Escobar is a simple man, often dressed the same way: a pair of jeans, a pair of white sneakers, and a sweatshirt with a shirt. 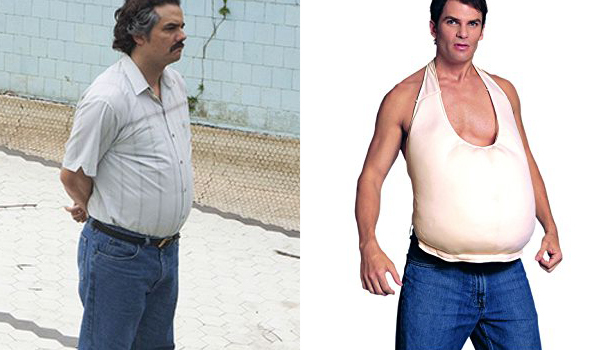 We will show you step-by-step how to dress like Pablo Escobar, but we thought it would also be interesting to write a costume guide for his "undercover" outfit. The first step to look like Pablo Escobar in Narcos is probably to have that legendary Colombian mustache. 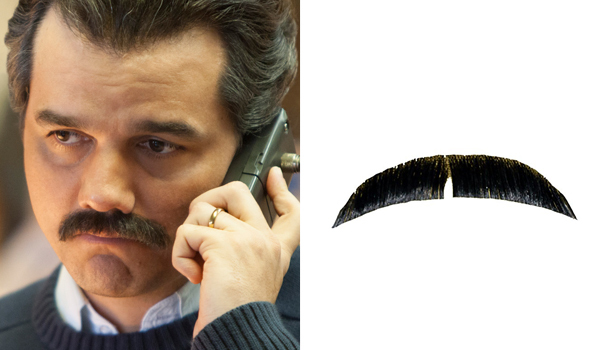 This fake mustache has the perfect form, has the right color and is made from real Escobar's ennemies hair. If you don't have long black hair, then this wig is close to perfect. El patrón was a well-fed 'io de puta' as he likes to say, so if you need to quickly add inches to your waist we recommend putting on a foam belly. 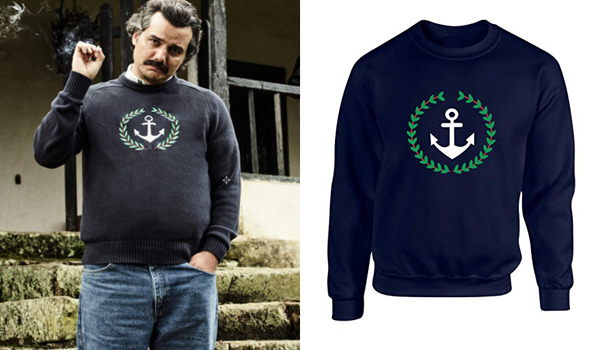 The first sweatshirt that Wagner Moura wears in Narcos for his Pablo Escobar role is a navy sweater with a white anchor and a laurel wreath around it. This sweater is a perfect replica. 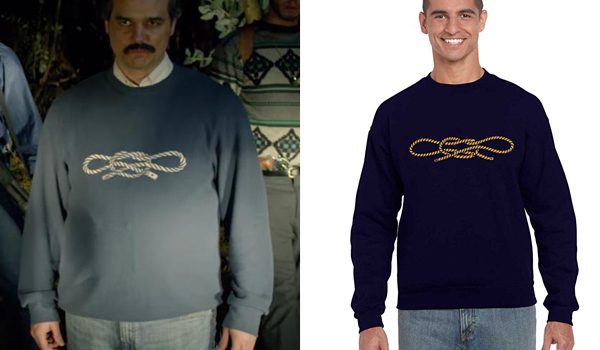 The second sweatshirt that Wagner Moura wears in Narcos for his Pablo Escobar role is also a navy sweater but with a yellowish bow knot. Choose one or get both if you are considering interpreting Pablo Escobar for the rest of your life (we'd understand) ! 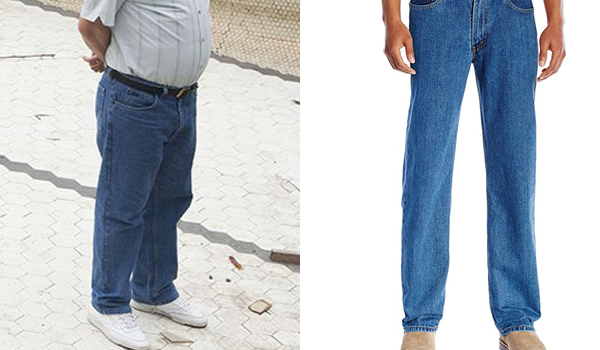 The jeans that Wagner Moura wears in Narcos for his Pablo Escobar role are medium stonewash blue straight jeans. 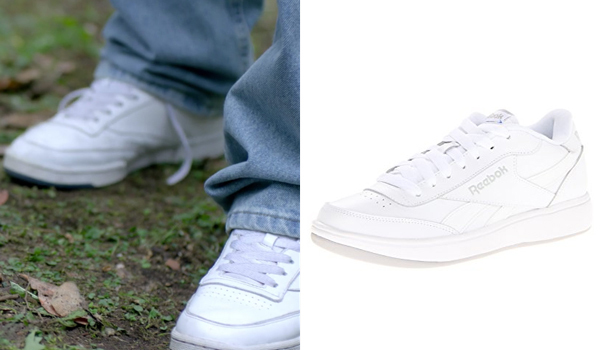 The shoes that Wagner Moura wears in Narcos for his Pablo Escobar role are all white sneakers. More precisely, they are Reebok Ace Sneakers. Accessories play a very important part in Pablo Escobar's costume. He loved his wife Tata, always had his gold wedding ring on his finger, and even when hiding from the FBI he took time to call her with his hand portable radio telephone. 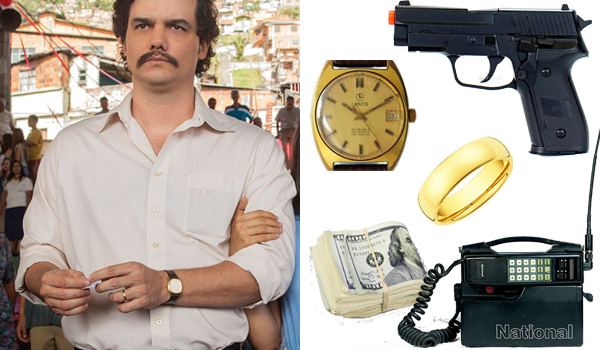 In the show Wagner Moura in the role Pablo Escobar wears a vintage Lanco watch. His weapon of choice is a SIG-Sauer P228 and he always had some cash laying around. Pablo Escobar starts getting older and is tired of hiding: his hair reflects that by becoming grayish. You can easily replicate this effect with some grey dye chalk. 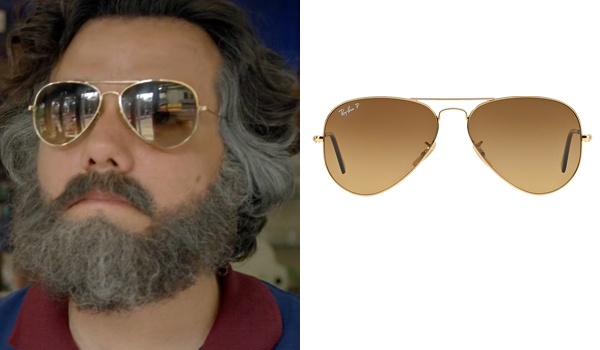 The sunglasses that Wagner Moura wears in Narcos for his Pablo Escobar role before dying are pilot style sunglasses. They are Ray-Ban Aviators with brown gradient lenses and a gold frame. 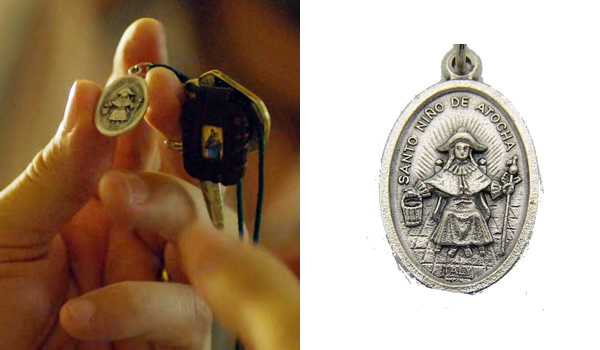 Pablo Escobar was given a protective necklace by Limon, it is composed of a leather cord, and three charms: the sword of St. Michael the archangel, the Virgin and the Nino de Atocha. The shirt that Wagner Moura wears in Narcos for his Pablo Escobar role before dying is a navy polo with red accends. This unisex polo looks just like it. This one is also very similar. 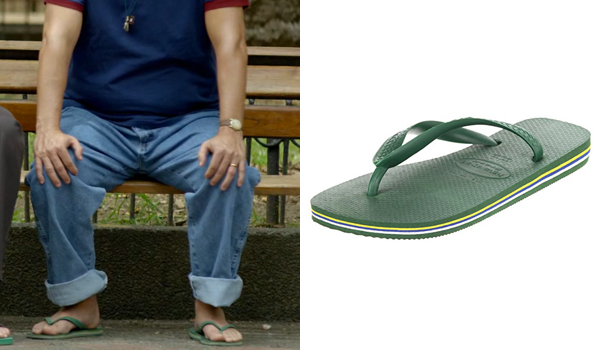 The shoes that Wagner Moura wears in Narcos for his Pablo Escobar role before dying are green flip flops with stripes on the sole. 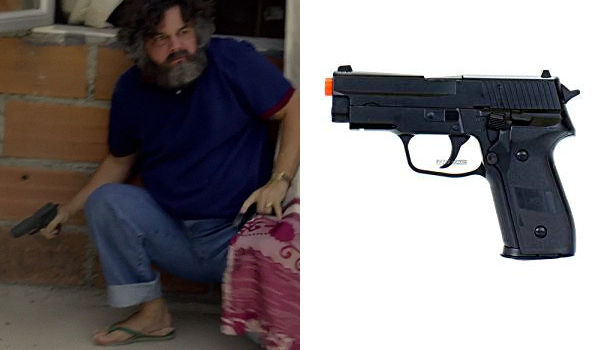 The gun that Wagner Moura uses in Narcos for his Pablo Escobar role just before dying is a SIG-Sauer P228. Here is an airsoft replica.